The blue carpet in the International Arena has been rolled out and the best bowls players from around the world are making the journey to Norfolk to compete in The Just 2018 World Indoor Bowls Championships. 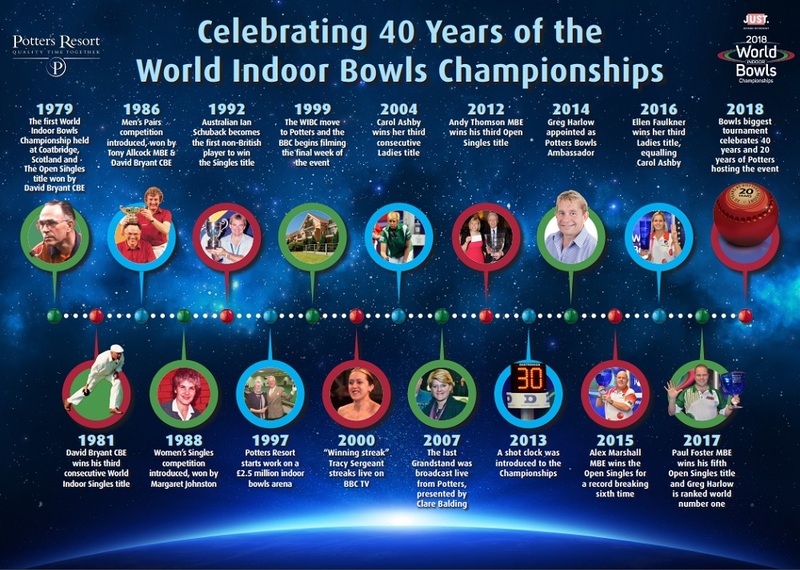 Now underway, bowls biggest tournament is celebrating 40 years of thrilling bowls in 2018, and Potters is hosting the Championships for the 20th year running in the 1,100 seat International Arena. 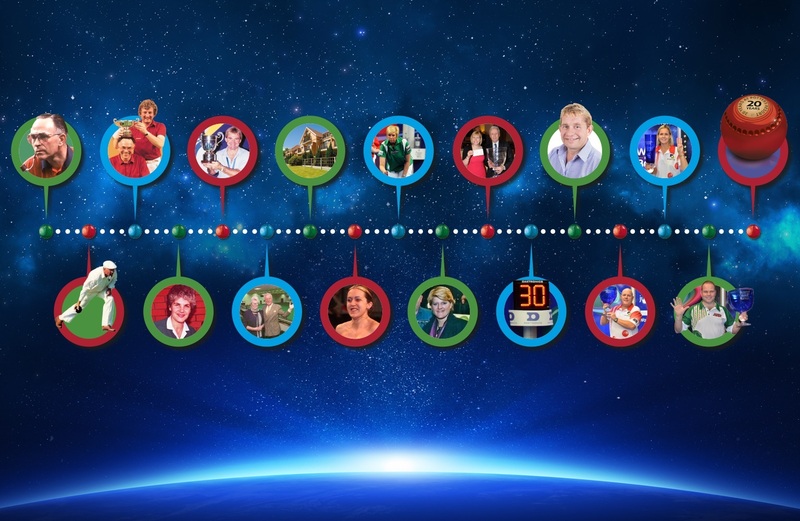 To download an A3 PDF of the timeline above, please click here. Did you know? Back in 1999, they played with black bowls adorned with coloured stickers, wore red and yellow cotton polo shirts, played 7-shot sets and they even played on a green carpet! 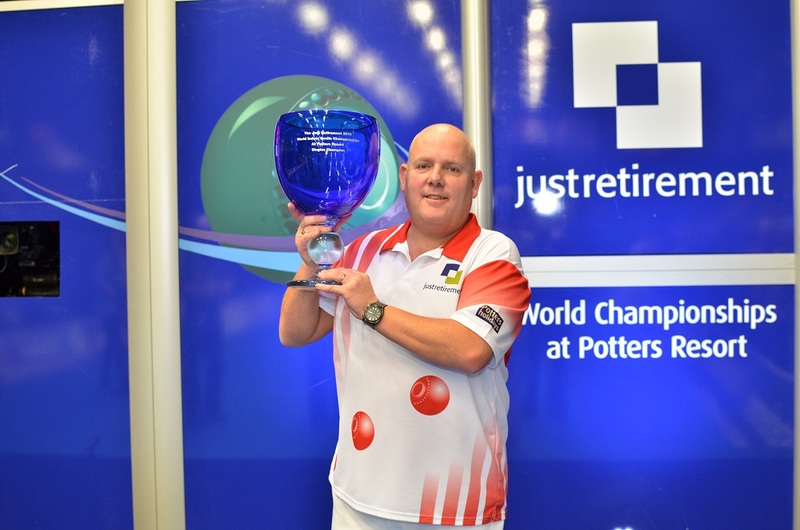 Bringing the tournament to Norfolk was the brainchild of Potters Resort’s chairman and tourism innovator Brian Potter MBE, who passed away in November 2014. Trying to think of a way to encourage people to come to Potters midweek and all year round, he had his ‘Archimedes moment’ one day and developed the winning idea of offering bowls breaks. Initially, Brian and his wife, Judy, invested in two bowls rinks and the idea quickly took off. A further six long-mat bowls rinks and a large indoor sports hall suitable for a wide range of activities soon followed. But Potters midweek bowling breaks became so successful that eight rinks weren’t enough to satisfy the growing demand. In the mid-1990s, Brian approached the World Bowls Council and asked if they would consider moving the World Indoor Bowls Championships from Preston if Potters built a new facility. 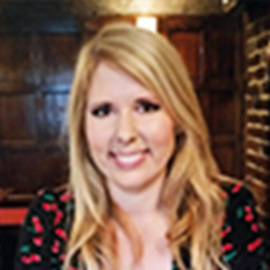 Despite an initial negative response, Brian and Judy felt strongly that there was a real opportunity to be taken, and in 1997 started work on a six-rink international standard stadium – a total investment of £2.5m. The stadium officially opened in 1998 when Potters hosted the national England Ladies’ Championships. The event was an enormous success and when the World Bowls Council saw the facility in action they moved the Championships to Hopton-on-Sea the following year. Here’s to another fantastic 20 years at the home of bowls!